I rarely come to Little Tokyo because I am always afraid of parking in this area. So far I haven't had too much trouble but be sure to bring your change for the meters! lol This time around I went with Tiramisu. We decided to grab some sushi in this area, but we actually got lost a bit. There was a wait to get in and we shopped around the Japanese Village Plaza Mall. After dinner, we came out and continued to shop as well grab a dessert. 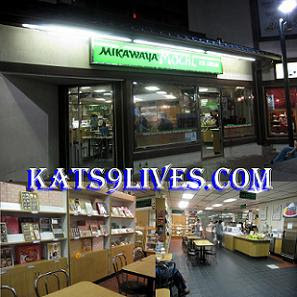 We happened to choose Mikawaya, which was near the center of the plaza. The place was pretty empty but we decided to check it out. They are a cash only place and luckily I had enough cash for the both of us. Marina Foods Food Court : Wings, Wings, WINGS!